Whenever I’m feeling particularly fancy, I like to make myself a tea latte at home. There’s all sorts of fancy equipment that you can buy to make this easier, but what I use is a small mason jar with a lid. Seems deceivingly simple? Well, it is! Fancy drink made with not-so-fancy tools? An overall win, I’d say! I have my tea steeping before I start on the milk. 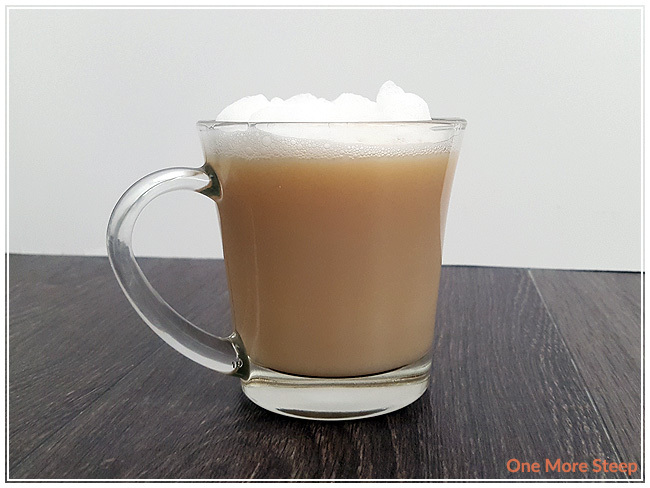 In the photos, this was a latte made with DavidsTea’s Pumpkin Chai. You can use any kind of tea to make your own latte! It works best if you mix in your sweetener prior to the addition of milk. Pour milk into a microwaveable jar. I filled a 250ml (1 cup) mason jar approximately 1/3 of the way filled, and then screw on a lid. Shake, shake, shake! 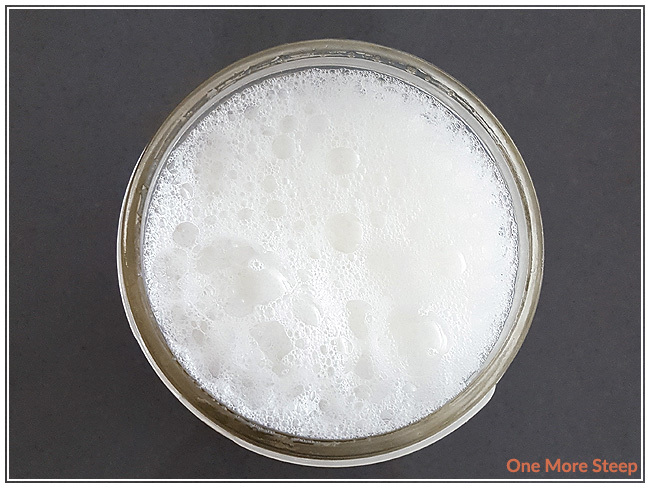 As the milk becomes frothy, there will be less sloshing sounds from the jar. You’ll be able to tell when it’s done when the sloshing sound is pretty much gone. When you take off the lid, you’ll find that it’s filled with foam. With the lid off, microwave the frothy milk for about 30 seconds. The microwave helps to set the foam so it won’t disappear as quickly. I use a spoon to hold back the foam as I pour the milk into my tea, and then I use the same spoon to push all the foamy goodness onto the top of my tea. Bonus Tip: Take a photo and share your fancy tea latte with your friends! Homemade lattes always seem to elicit positive feedback, they’ll never have to know you didn’t buy a milk frother!